Hello MIUIers, hope you are doing well. Today we talk about a basic problem which you faced after MIUI 9 update on your Xiaomi mobile. Nowadays Xiaomi rolled out MIUI 9 stable update for almost all devices. Some users are facing a strange issue where a single contact shows multiple time on the phonebook. So here we provide the best solution for this problem. 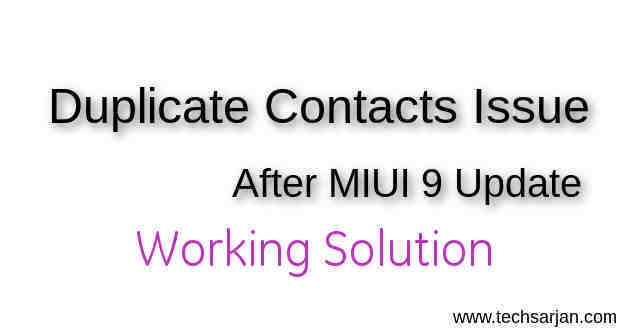 You can easily solve this duplicate contact showing problem which you are facing in your Xiaomi mobile. This solution which we tell you in this article will work on Xiaomi devices, No matter which is Redmi mobiles or flagship Mi series like Redmi 2 Prime, Redmi 1S, Redmi 3s, Redmi 3s Prime, Redmi 4, Redmi 4A, Redmi 5, Redmi 5A, Redmi Note 3, Redmi Note 4, Mi3, Mi 4, Mi 5, Mi 6, Mi Max, Mi Mix, Mi MIx 2 etc. You can easily solve this error on any Xiaomi mobile no matter which is based on Android Marshmallow or Android Nougat or Android Oreo. Basically this problem you faced after MIUI 9 update in your Xiaomi mobile. In this problem when you searched a people in your contact then you see many entries of the same name so you need to solve this strange issue on your Xiaomi Android mobile. Now scroll down and find out and tap on System Apps. Now choose Merge duplicate contacts option. 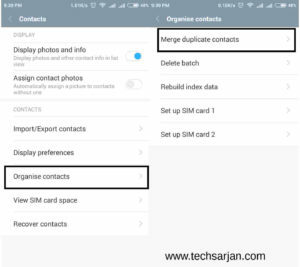 After following these steps you can easily solve this multiple contacts issue. You can also rebuild contacts data.But before rebuild index data of contacts please take a backup copy of whole your phonebook. if you don’t know how to take back up on Xiaomi devices then please follow this guide. In this guide, you will learn how to take a backup, like contacts data on Xiaomi mobile and also learn how to restore backup data if anything wrong happens during phone usages. This phonebook multiple entry bugs or you can say error occurred after MIUI 9 update.You can solve this issues via following these steps. Make sure you take backup of your hidden data because most of the time Hidden file which saved on the phone in encrypted mode is deleted. and you unable to recover this file via any other software. So now you need to take backup in your phone and moved these files to any other external media. 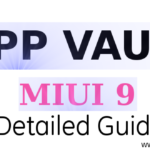 If you are facing any other issue after MIUI 9 update then please read the article to solve all the issues in an easy way and quickly.